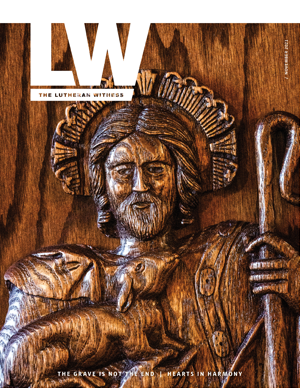 The Lutheran Church—Missouri Synod’s Stewardship Ministry helps congregations grow in their understanding and implementation of a life of stewardship. Christian stewardship is the free and joyous activity of God’s family — the church — in managing life’s resources for His purposes. “Stewardship Basics,” an eight-part Bible study from LCMS Stewardship Ministry, is available at no charge to help congregations start a discussion of whole-life stewardship. 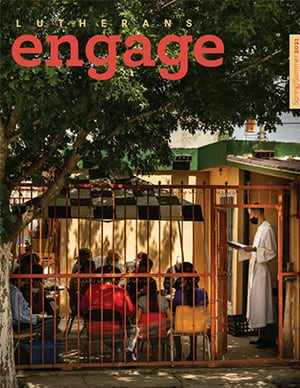 Based on the one-year and three-year lectionary, stewardship newsletter articles and bulletin blurbs are available for congregations to feature in church publications. The physical act of collecting the gifts and bringing them to the altar has been a part of Christian worship since the time of the apostles. Now, parishioners who give offerings electronically may participate in the Divine Service by placing a card in the offering plate in lieu of an envelope. LCMS congregations may print online giving pew cards for members. The A to Z collection of resources includes important items for pastor and stewardship committees. The documents are arranged into four sections to help leaders find content applicable to their unique settings. “Preview and Review of Financial Peace® University,” written by Rev. Jonathan Conner, has helpful suggestions for Lutheran pastors and lay leaders who want to use FPU in their congregations. The Chief Steward: A Manual on Pastoral Leadership was written by the Rev. J.E. Herrmann in 1950. The Rev. Nathan Meador, assistant coordinator of the LCMS Stewardship Ministry, says the resource has timeless advice despite being written more than 60 years ago. The LCMS recommends using these Bible Stewardship Principles in guiding education and appeal efforts in Synod congregations, entities, agencies and auxiliaries. The principles feature a leader’s guide and are available in four different languages plus three age-appropriate versions. LCMS Stewardship Ministry plans educational opportunities and provides ongoing support for pastors and lay leaders as they implement Christ-centered stewardship plans in their congregations. StewardCAST is a monthly e-newsletter with stewardship resources for individuals and congregations. Subscribe online by choosing the “Stewardship” category and selecting StewardCAST.